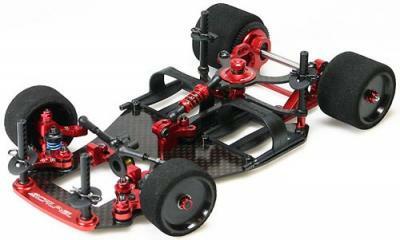 Red RC - RC Car News - Page 4161 of 4240 - Red RC - RC Car product news, views and race results. The Robitronic Scalpel has to be one of my favourite cars to have been released in the last year, not only does it look great but it goes like a rocket too. Now the good people over at Robitronic have released details on all the options you can get for the car to make it handle, perform and look even better. And it seems that apart from the actual carbon chassis, you can replace almost everything on the car with a new, and most of the time red anodized, optional part. Robitronic have also released information on the optionals available for the Avid and Protos. You can find the options pages here (Scalpel), here (Avid) and here (Protos). 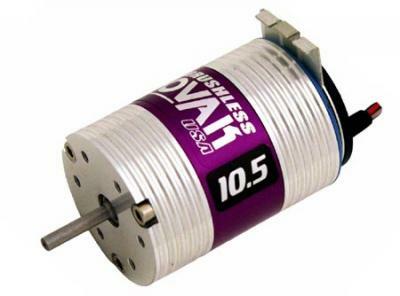 Novak USA have released these new SS Pro Series racing brushless motors which are based on Novakâ€™s Velociti-Series Racing brushless motors but have received a number of performance enhancing upgrades. These upgrades include the use of a ROAR-approved, Nickel-plated Sintered Neodymium rotor that improves throttle feel, improves braking ability and better overall performance as well as the use of an aluminium ribbed end bell that not only reduces weight but also acts as a heatsink for the motor. These new motors are available now and in a number of different winds, suitable for different racing classes and conditions. Now i know this radio isn’t of interest to most of our readers as they feel sticks are for people who fly airplanes, but for us older and more non US based racers, sticks are still often the way to go. 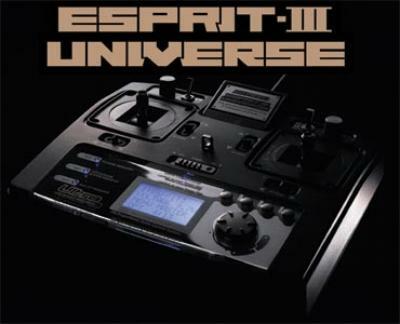 In fact this very radio won 2 World titles last year in the hands of David Spashett in 1/12th scale and of course Andy Moore in 1/10th touring, this is also the radio of choice for multiple World Champion Masami Hirosaka. So whats new with it? Well as you can see from the picture, they have done something very non KO like and rounded some corners on the casing and in addition to that the internal workings are also very different. The new Custom Menu feature allows for the use of the functions that you are going to use. No more searching for functions that you want to use! Add, delete, prioritize the functions. The navigation of the menu is relatively easy with the use of the jog dial. The exquisiteness of the arrangement of the jog dial and the command key utilize the highest ease of use. 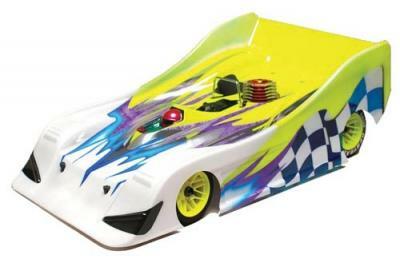 Serpent have announced that they have started selling the new 1/8th scale Central Lola body shell. This new body originated in Japan and is now tearing up the tracks across the World with some top racers currently using it in this weeks Winternats such as Mike Swauger, Paolo Morganti and Michael Salven. We previously mentioned this body when it was first introduced into the US by Serpent USA some months ago. Providing a huge boost in performance over previous shells, this new EFRA approved body not only provides more steering but also is more stable than other current shells on the market. This improvement in handling converts to faster and more consistent lap times. Serpent have also released Titanium Nitride coated shock shafts that allows a much smoother action of the shock absorbers as well as making the shafts stronger. 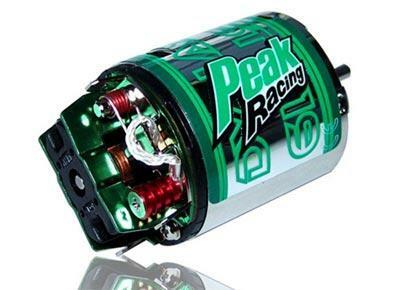 Peak Racing have released this high end competition 19-turn motor called the Dynasty, which features a redesigned armature that optimizes the balance between low-end torque and high speed RPM for excellent performance on all surfaces. The new Mega Flow can, featuring strategically placed vents for maximum airflow and optimized magnetic field strength, lowers operating temperatures resulting in greater power output and fade-free performance from the starting horn to the checkered flag. The 3rd and 4th rounds of qualifying are now over and with all Wednesdays racing run under dry and improving conditions, the tops of the leaderboards have changed quite a lot. In 1/8th scale, Kyosho racer Josh Cyrul has moved up from 4th position overnight to take provisional pole position after 4 rounds, the US driver followed closely by 1/10th US National champion Chris Tosolini, also driving a Kyosho. In 3rd position was Tuesdays overnight pole man, and reigning Champion Mike Swauger, who despite improving by 2 seconds still only ended up in third ahead of the big mover of the day Vincent Jackson, also running with Mugen. Paolo Morganti, driving a Serpent 960 was the biggest loser on the day in 1/8th scale, dropping from 2nd to 6th having not been able to improve on his Tuesday time. In 1/10th scale its more of the same with Ralph Burch on the debut race for Xrays new NT1 that retains his first position despite not improving his time today. Paolo Morganti, driving the Serpent 720 improved a lot and jumped from overnight 4th to 2nd, only 1 tenth of a second behind with Chris Tosolini, another driver who didn’t manage to complete the 5 minutes on Tuesday, did so today to improve his time and gain 3rd position albeit 3 seconds back on the leading pair. Barry Baker, also with the Xray NT1, moved up from 6th yesterday to end the day in 4th position heading into the final day of qualifying. 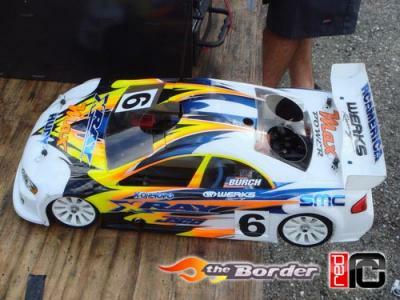 The biggest loser on the day in 1/10th scale was Mark Green, driving a Serpent 720, who couldn’t manage to improve his time and thus dropped from his overnight 5th position to end up 13th going into the final 2 rounds of qualifying. 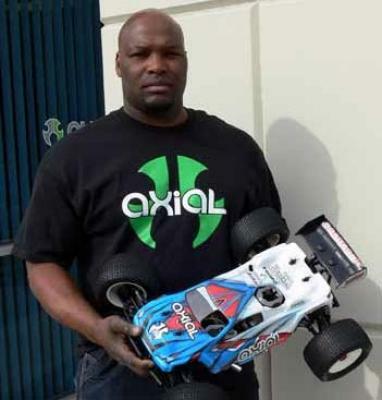 Paul Coleman made his debut race with the Robitronic Mantis at last months Team Losi Nitro Winter Championships held in Tampa Florida. The race was a learning experience for Paul, driving the Mantis in its debut Truggy race Stateside, and he could qualify in 6th position with some consistent running and went on to perform well in the race until he was forced to retire with some technical problems. The car however showed its potential and look good on the track, very stable over the jumps and fast through the corners and looks promising for the rest of the season. We received word from Axial racing, telling us that they are now the exclusive importers of Active Hobbies products into the US. 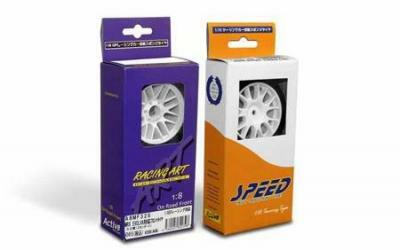 Active Hobbies are well known in Japan for their quality tyres and have been used to win many major titles over there, and now this same quality product is now available in the USA. The rubber compound used in these tyres not only provides great traction but is also less likely to chunk in comparison to other compounds that are currently on the market. Available in many different compounds and offsets so you can fine tune the setup that works best for your driving style.